We bring in for our clients Forgings for Automobile Industry Our skilled professionals work hard to produce and deliver the best possible products to our clients. These are the products which are available in the market with best durability and at very reasonable price. 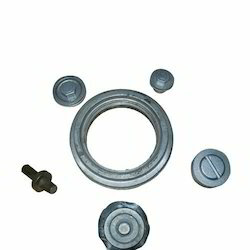 Further, these are available in various specifications as per the clients specific requirements. The range offered includes Car A/C Compressor Parts And Assemblies. We are leading provider of wide variety of Aluminum Forgings For Railway Industry, which are made in compliance to set industrial norms. Our top notch production department ensures that we deliver only flawless products to our clients thus; each product is checked prior to handling clients. Additionally, our products can be specially designed and fabricated as per clients’ requirements. We offer these products at highly competitive price in market. Looking for Aluminium Forgings for Automobile Industry ?